The 2018 Honda Odyssey is all-new this year, and it sets an extremely high bar for all minivans to follow. 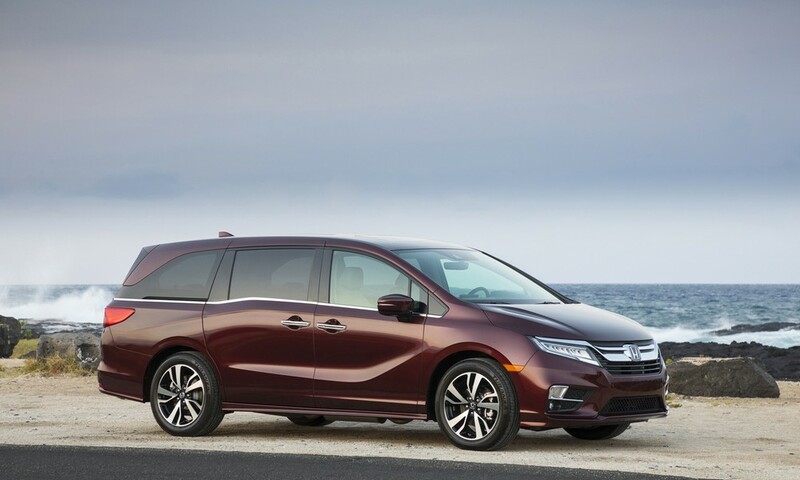 Sleek isn’t a word usually associated with minivans, but the newest Odyssey has a modern, sophisticated style that redefines the segment. 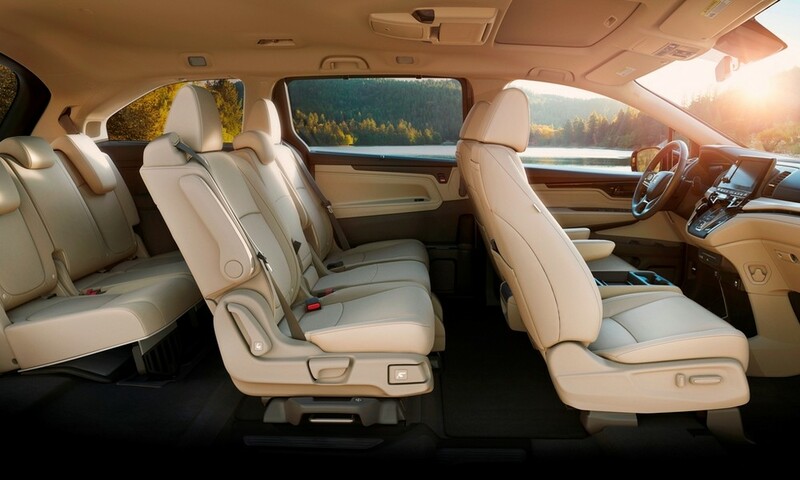 The spacious interior is filled with the latest and most convenient tech that’s sure to keep your family comfortable; content; and most importantly, safe. The 2018 Odyssey is built on an all-new chassis and its V6 engine offers more power than ever. With its updated style, interior, and tech, the 2018 Honda Odyssey proves that it is truly the pinnacle of the minivan segment. Families that value practicality and safety while still wanting to drive around in style. Discerning shoppers are sure to notice the thoroughness with which Honda’s engineers designed every detail of this amply equipped vehicle. Nothing has been left to the imagination, so you’re sure to find all the features that are important to you and your family. The 2018 Honda Odyssey is powered by a 3.5-liter V6 engine that produces an impressive 280 hp. Drivers can choose between a nine- or 10-speed automatic transmission. Seeing as the 10-speed is a first for minivans, you simply won’t find a more confident ride within this segment. The latest Odyssey sets the standard for the next generation of minivans, so you can be confident knowing you’re driving the most refined family van around. The 2018 Honda Odyssey has a new Cabin Watch feature, which uses a camera to present a view of your rear-seat passengers on the large central display. This is ideal for vigilant parents who want to ensure their children are safe—and behaving. This system even works at night using infrared vision. A second-row middle seat can slide forward—or be removed—allowing the other two seats to slide around the van and be locked into one of five selectable positions. This feature makes it easy to customize each trip to ensure maximum comfort and efficiency. Families expect a lot from their car, and the 2018 Odyssey delivers. It includes in-car Wi-Fi, Android Auto™, and Apple CarPlay™ among many other innovative features. Gone are the days of arguing over who gets to play the DJ thanks to the Social Playlist. This feature allows up to eight users to upload music from their smartphones, so everybody’s tunes get a turn. * Based on 2017 EPA mileage ratings. Use for comparison purposes only. Your mileage will vary depending on driving conditions, how you drive and maintain your vehicle, battery-package/condition, and other factors.